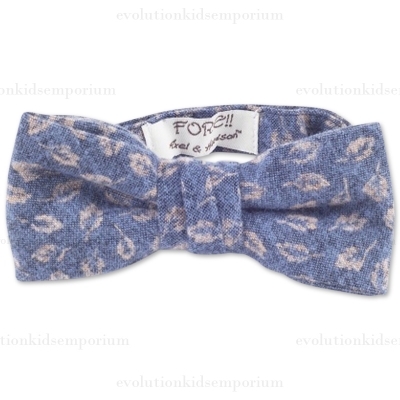 Pale Blue & Brown Leaf Print Bow Tie by Fore!! Axel & Hudson - The perfect bow tie for grows with your baby, toddler and tween. Adjustable to fit OSFA.